Based on the true life and crimes of notorious gangster Paul Ferris ... Brought up in the '60s, on the roughest streets in Scotland's most-vicious neighborhood, teen-aged Paul Ferris (Martin Compston) exacts revenge one-by-one on a band of bullying street thugs who made his childhood a living hell. 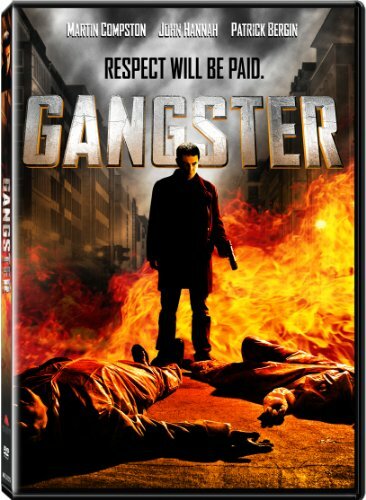 LOS ANGELES -- July 1, 2014 -- For Immediate Release -- An ordinary boy raised in a rough neighborhood becomes an infamous crime boss in Gangster , hitting DVD and VOD July 22 from Inception Media Group. Brought up in the '60s, on the roughest streets in Scotland's most-vicious neighborhood, teen-aged Paul Ferris (Martin Compston, Filth, The Disappearance of Alice Creed, Red Road) exacts revenge one-by-one on a band of bullying street thugs who made his childhood a living hell. Ferris' criminal misconduct worsens when he begins working for two rival gang bosses. After a brutal betrayal leads to a bloody massacre on the streets of Glasgow, Ferris decides to go it alone. Carving out a dangerous and savage career, defined by violence, corruption and murder, Paul "The Wee Man" Ferris ends up becoming one of the most feared gangsters in history. Also starring Denis Lawson (Star Wars IV, V, VI), John Hannah (The Mummy, The Mummy Returns) and Patrick Bergin (Eye of the Beholder, Patriot Games), Gangster is presented in widescreen with an aspect ratio of 16 x 9 (2.35:1) and 5.1 digital surround sound.